I was raised with the principle that if you are going to do something, then do it with all your heart. There is no success in attempting to accomplish a goal without passion or doing it half-heartedly. No life-altering accomplishments, which have benefitted society, were ever achieved by sluggards. Individuals or teams who made significant strides in their world were the ones who always gave their best; it is these people that impacted their generation. In South Africa we use this idiom to describe being all in, we say, “Boots and all!” This phrase describes doing something without reserve, no holding back or doing your best. When this Apostle wrote these words, he was specifically addressing Christian slaves, and he gave them instruction on how to conduct their duties towards their masters. He told them to work at their tasks with all their hearts because what they did was not just for their owners, but more importantly, it was unto the Lord. Today, and thankfully slavery has been abolished, even though human trafficking remains a major social injustice that must be eradicated. However, what Paul said to those slaves the same principle applies to all, what we do at home, work, civic responsibilities or more importantly in the church, should be done with all our hearts as unto the Lord. We hear people say that they gave 110%. This implies that they gave beyond the expected or did their very best. I have learned that your best may not be what others will value. It is possible that you can give, serve, make sacrifices, and even when you have exhausted yourself, you may be criticized or ignored. You may not get the thank you from some people or you may not earn the promotion you thought you deserved. In these instances, my advice is to be satisfied in your heart that you did your best and let God, who knows the secrets of your heart and sees all that you do be your rewarder. My last thought… doing your best is not just doing something once, but rather it is a lifestyle. Whatever you do, do it joyfully and excellently. 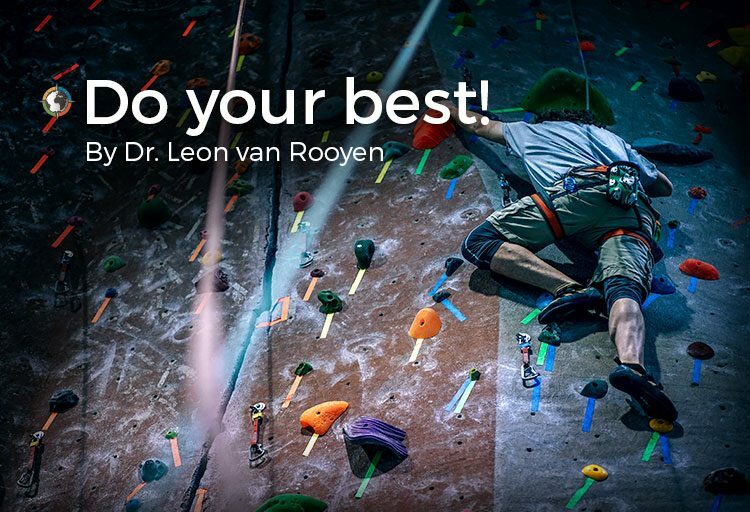 As you do your best, study, practice, improve and grow; then keep doing your best. Picture everything that you do as a long-term investment rather than a quick-get- rich scheme. Ensure that you do your best with consistency for there is a day of reward; there is promotion and increase to the diligent and the faithful. Notice that the people who work hard will prosper in all that they do.